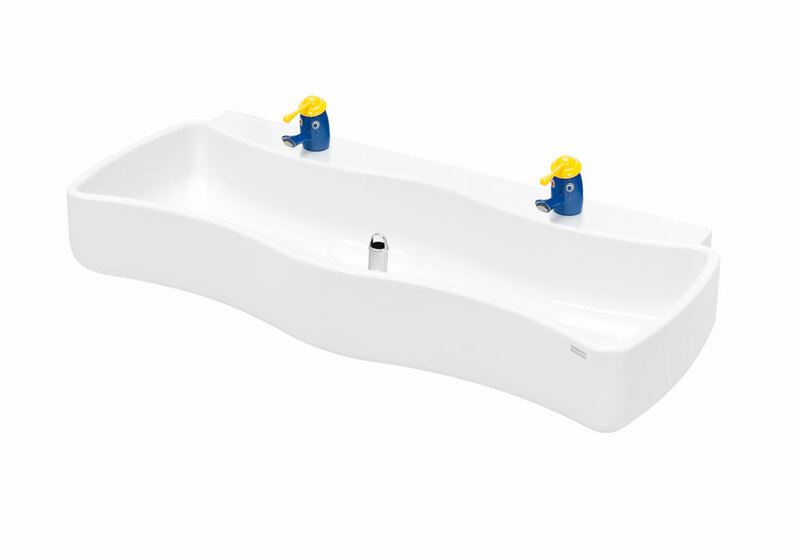 Healey & Lord supply the Washino range of mineral composite wash-troughs specifically designed for use by children with a surface that feels pleasantly warm and smooth. 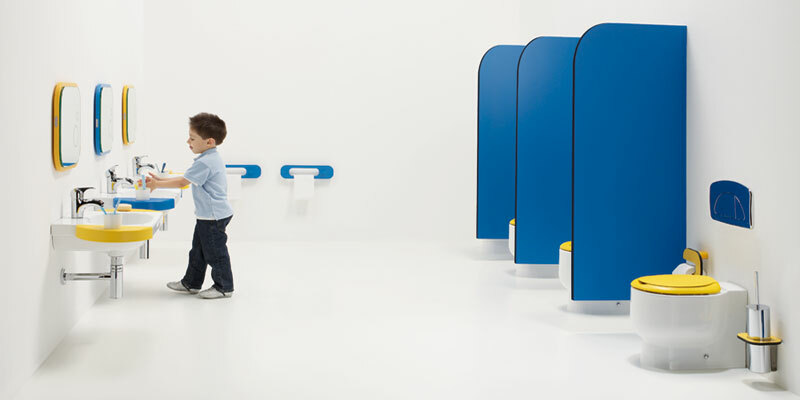 Manufactured in Alpine white, the Miranit gelcoat surface gives the children's wash-and-play troughs a smooth, pore-free, high-gloss surface that is particularly hygienic and easy to maintain. 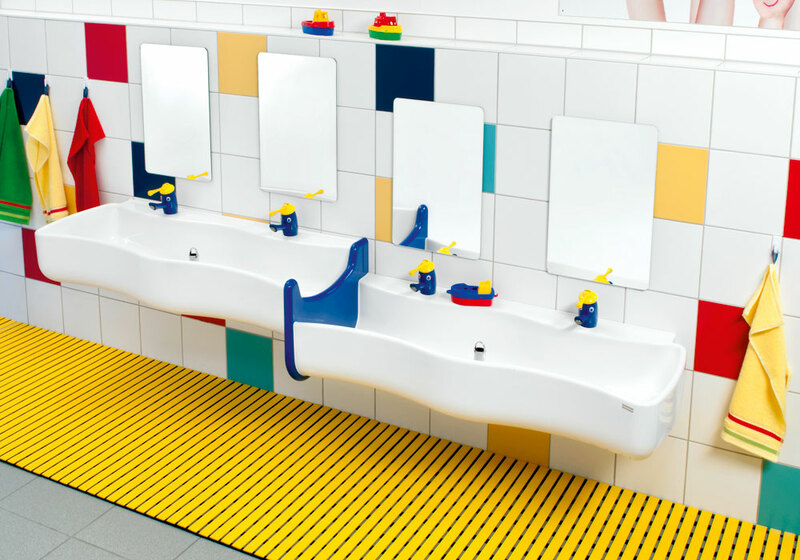 The wave design allows children to reach the tap with ease whilst the rounded, flowing corners minimise risk of injury. 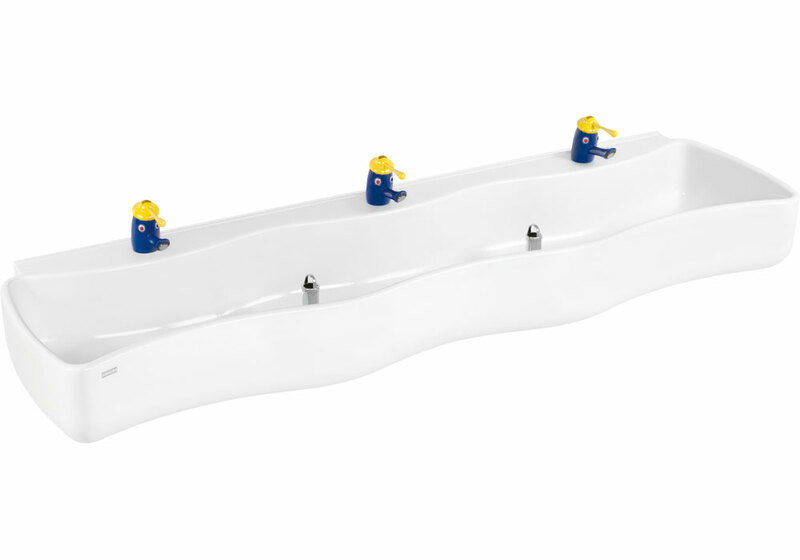 Healey & Lord Ltd supply the Washino children's wash trough with either infrared mixer taps, non-concussive self closing push taps or the Aquapina children's single mixer lever taps.